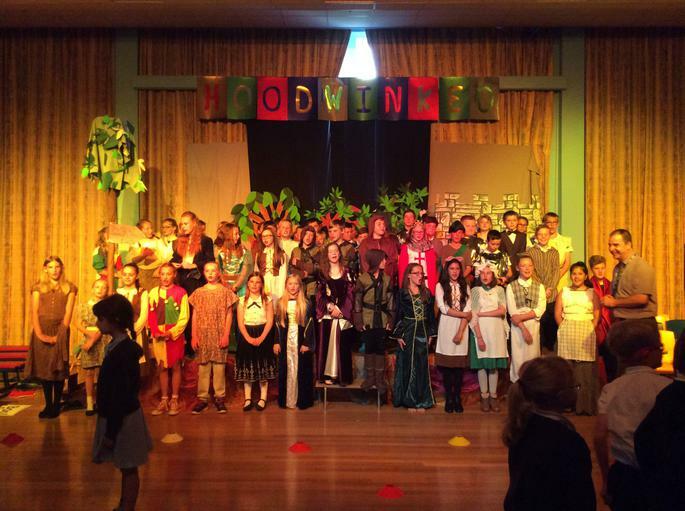 Yr 6 - end of year production. 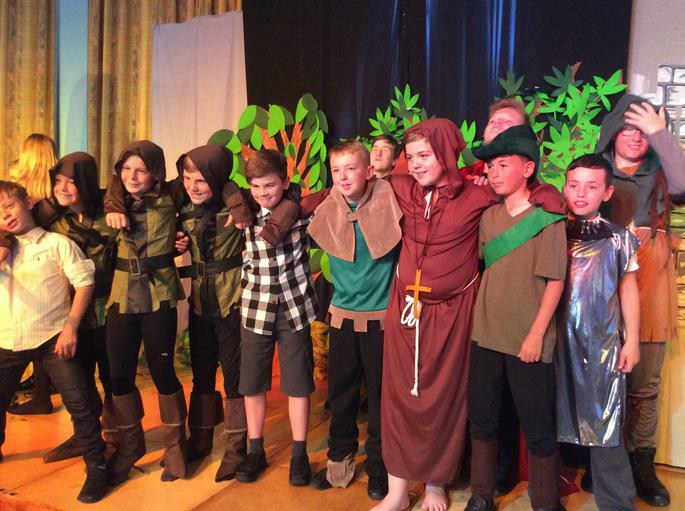 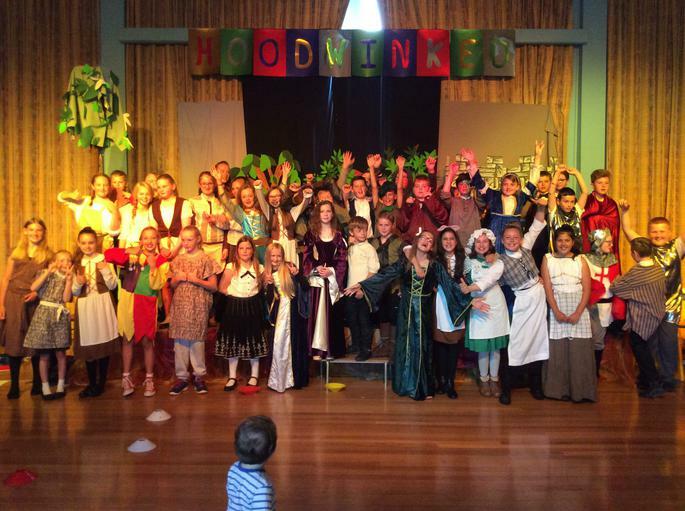 Year 6 showcased their talents in their performance of 'Hoodwinked' - a comedy/musical based on the Robin Hood story. 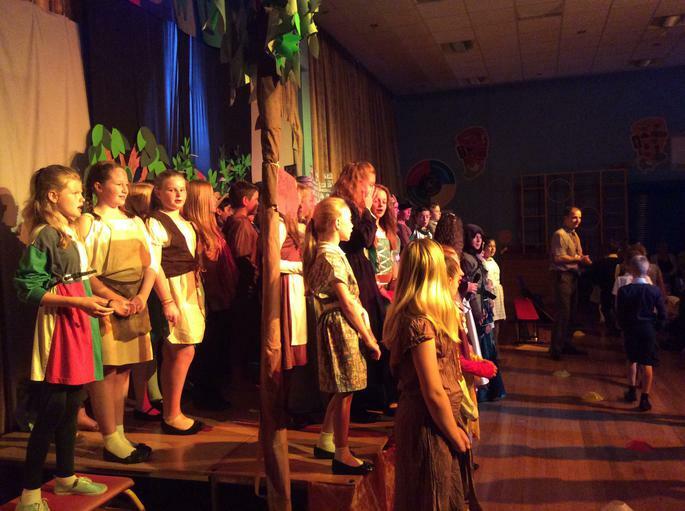 There were some great performances and lovely singing. 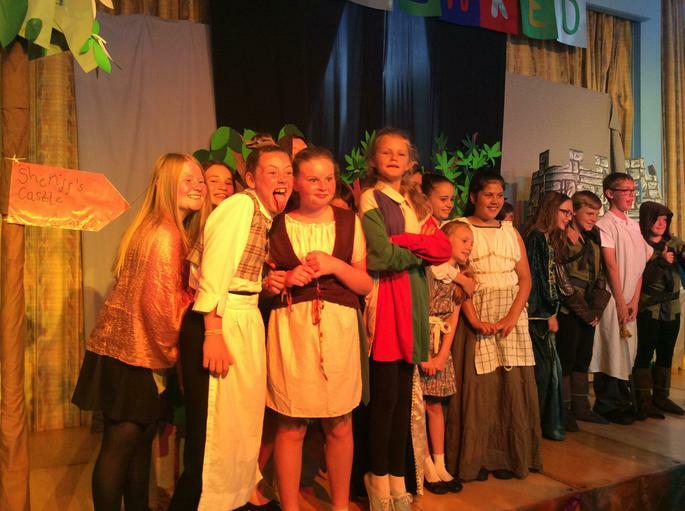 Harriette (class 8 - year 6 ) said: "We all worked really hard." 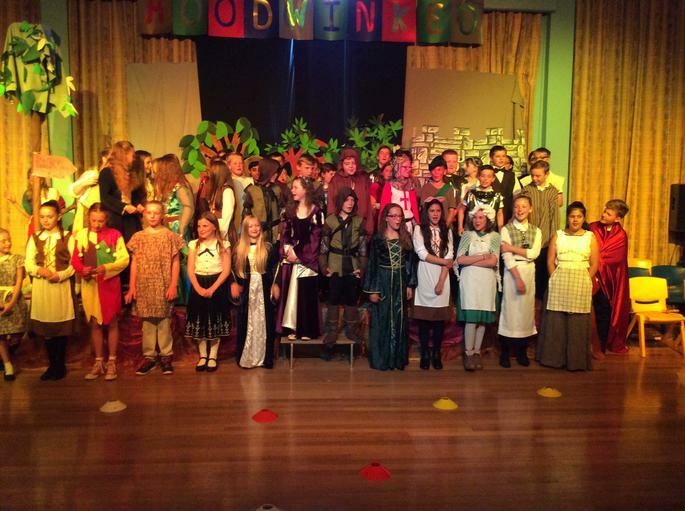 The rest of the school watched the performance on Wednesday lunchtime which went down really well. 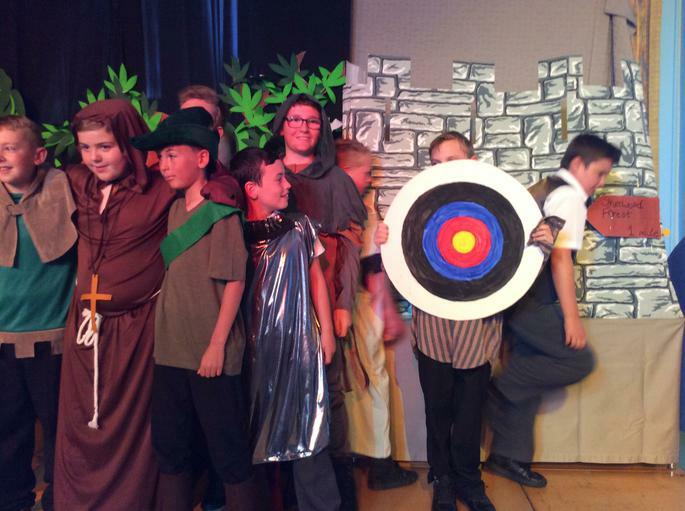 David (class 5) said: "I really enjoyed it - especially the jokes." 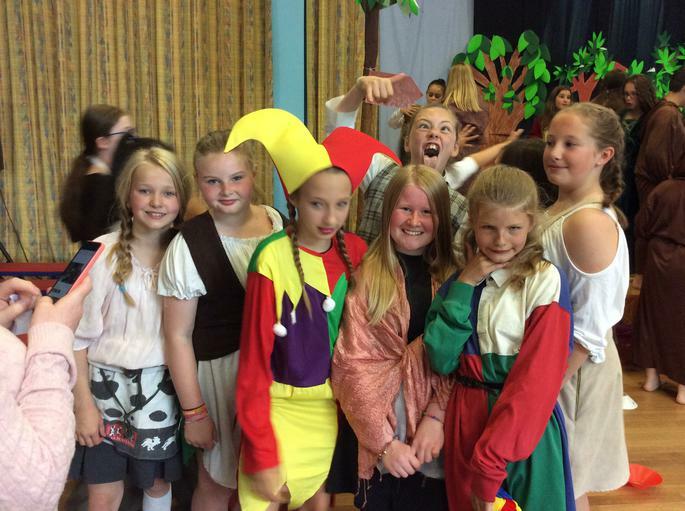 Loretta (class 5): "It was really funny." 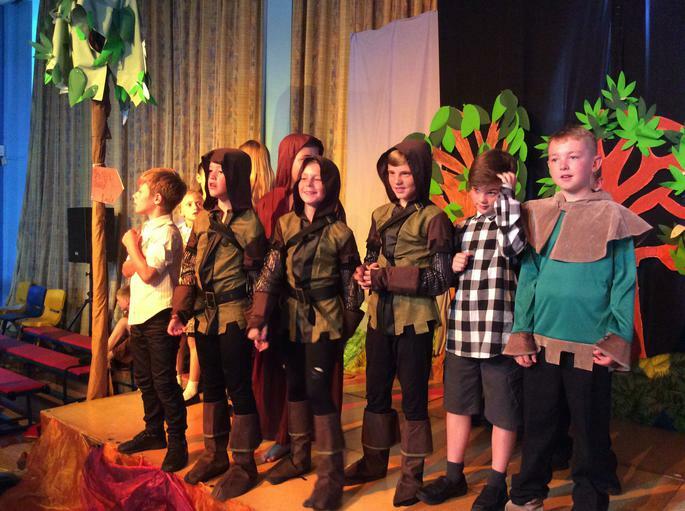 Ben (class 5): "I liked the singing. 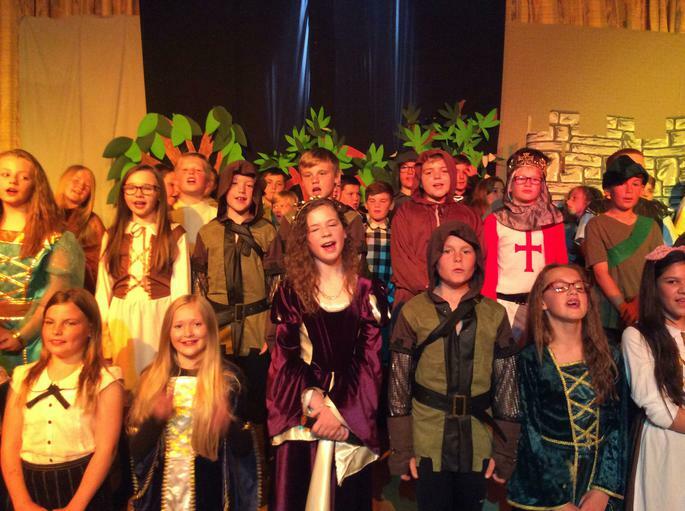 They all sounded really good together."